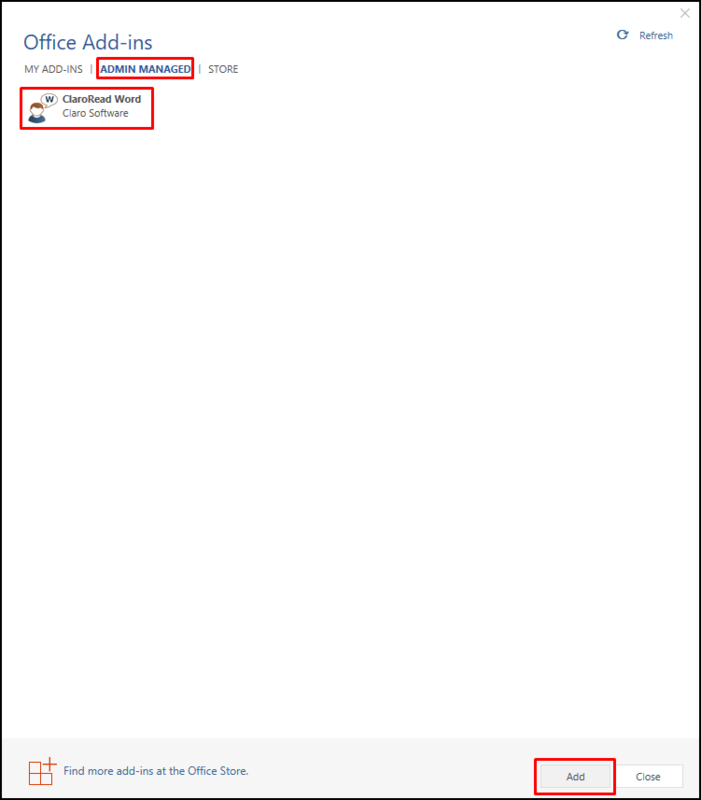 You can install ClaroRead Word once your Office 365 admin has deployed it. Under to Insert tab in Word, select Add-ins (choose My Add-ins if available). On the Office add-ins pop-up window, navigate to the Admin Managed tab. Select ClaroRead Word by clicking on the ClaroRead Word icon, and then click Add. For more help view this Microsoft article: View, manage, and install add-ins guide.